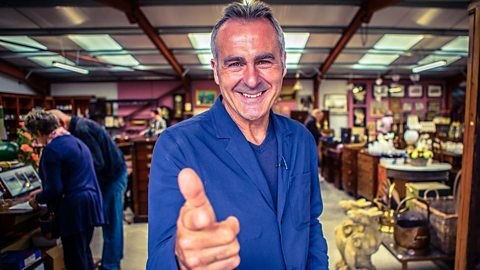 Paul Martin takes to the road as he searches the length and breadth of Britain in pursuit of a new generation of moneymaking antiques dealers. Paul Martin takes to the road as he searches the length and breadth of Britain in pursuit of a new generation of moneymaking antiques dealers. Interior scenes filmed with Paul Martin at the end of the show are shot on location at Lorfords Antiques, Tetbury. Do you have an eye for antiques and enjoy going to auctions? Do you know the difference between a piece of Clarice Cliff and some Moorcroft?